1.3 Do you have design questions? Textures bring life to art. There are different textures techniques that you can use whether you’re doing physical or digital art. When it comes to digital art, one of the shortcuts would be to use ready designs that help you achieve your visual and content goals. This article discusses texture, as a whole, with examples focused on the sidewalk texture. Any artwork can come to life if you add texture. It doesn’t matter if you’re into digital or physical art. You can add textures to paintings on canvasses as effectively as you would on digital masterpieces. 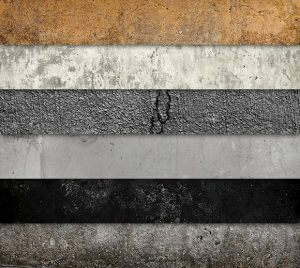 Among the many textures you can add, the sidewalk texture is the most popular. Yes, it can be a bit unconventional, but you can successfully add texture by rubbing sand or silica to your painting. Adding sand and grit is a standard technique when you’re creating landscapes or when you merely want to juxtapose with flat backgrounds. Some artists can work well with any solid medium that’s poured on canvass to create raised designs, swirls, and lines. You can use different types of combs and tooth openings to add texture to your artwork, too. Create linear patterns and abstract dotting, lines, and swirls with combs. No, these are not the stamps from the store. You can use anything you deem fit to leave stamp marks on canvass. Anything from old pins to large buttons and fabric can be used in stamping. You can cut and carve different sizes and shapes to create patterns to your artwork. Cutting will work well before you put paint on top of them. Carving, on the other hand, can be used to peel off some layers of the paint to create impressions and textures. You don’t need expensive stencils to create textures on your art pieces. You can merely use thick weights of paper or plastic materials. Lastly, you can get creative textures using cloth and paper. Put down some medium first before you press cheesecloth or tissue paper into it. You can also bunch the fabric to leave different amounts of texture in print. To create visual textures, you can use different sized bristle brushes to complete your digital art. You can also use palette knives to mimic real-world equivalent of your design. You can use both brushes and palette knives to blend, build up, pull, push and scrape using the pressure, rotation, and tilt of your stylus. You also have the option to adjust the transparency of your brushstrokes. You can also control how the colors interact with the texture of the paper. You can create traditional impasto effects, too. The possibilities are endless if you add creativity to your thoughts. If you want that authentic, gritty look but don’t have the skills or the time to build it, then you can take advantage of high-resolution texture photos that have been created by professionals. Some websites collect beautiful texture designs that you can readily use for free or for a specific fee. The creativemarket(dot)com, for example, has designs that can be downloaded and added to your art as layers. If you’re rooting to see a sidewalk texture on your digital art, then here are some of the best options you can choose from. 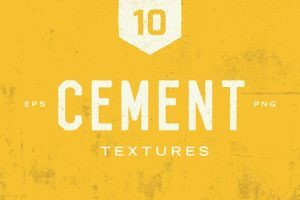 Here’s a collection of high-resolution cement texture photos that have been very carefully handpicked. Handpicked options mean that every picture included in this collection maintains and captures the authenticity of cement surfaces. Such details ensure that vintage glow and feel of your design. You are free to choose and work with numerous formats that range from vector EPS to PNG. You also get a PDF browsing guide, allowing you to quickly and easily sort through the designs, compare them and pick the one that best suits your needs at the time. The entire suite of Cement Textures costs $9. 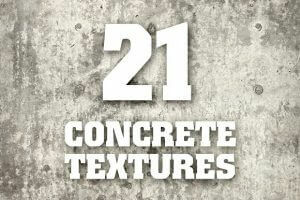 Enhance your design with any of the 21 concrete and cement textures included in this pack. 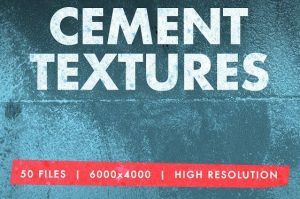 These high-resolution images are ideal for image overlays that will add both dimension and texture to your graphic art. All these 21 textures can be yours for $5. 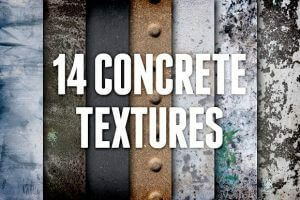 This second pack contains 14 high-resolution designs that range from simple sidewalks, eroded blocks, scuffed concrete slabs, and paint splattered walls, and so on. You can never tell how many unique designs you can create with pure concrete and cement textures! If you want more than a handful of options to prettify your graphic art, then this is the pack to own. It has detailed close-up images of textured stone, marble, tiles, rock, and other rough surfaces, too. This set of 50 300-DPI resolution designs can be yours for $15. Play with your backgrounds and foregrounds to come up with a textured artwork that awakens the senses and the interest. Nothing beats the elegance black exudes. It’s timeless, and when it comes to design, black never fails to command the attention. This pack by Medialoot has eight designs, each of which features high-resolution seamless textures. The details of each design are subtle, therefore not overpowering your art. All the photos included in this pack are seamless. Plus, product support is added too! 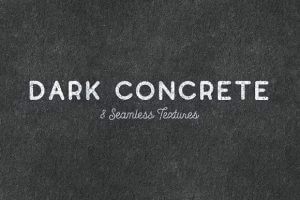 Buy the Seamless Dark Concrete Textures for only $10. Connect with us to discuss your designs. We have professionals working overtime to suit your needs.